Five Minute Friday – Balloons! Today’s post is going to be short and sweet since my to-do list is growing at an exponential pace. Literally. For every one item I cross off, at least three more items get added. My to-do list is like bunnies – multiplying in the blink of an eye. 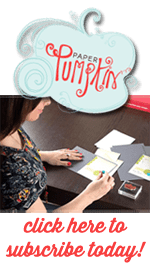 When it comes to the Stampin Up color families, I tend to go for the Brights first. All those lovely colors just look so happy to me. And pair them with some balloons? Bright colors and balloons: now, you’ve got a party. 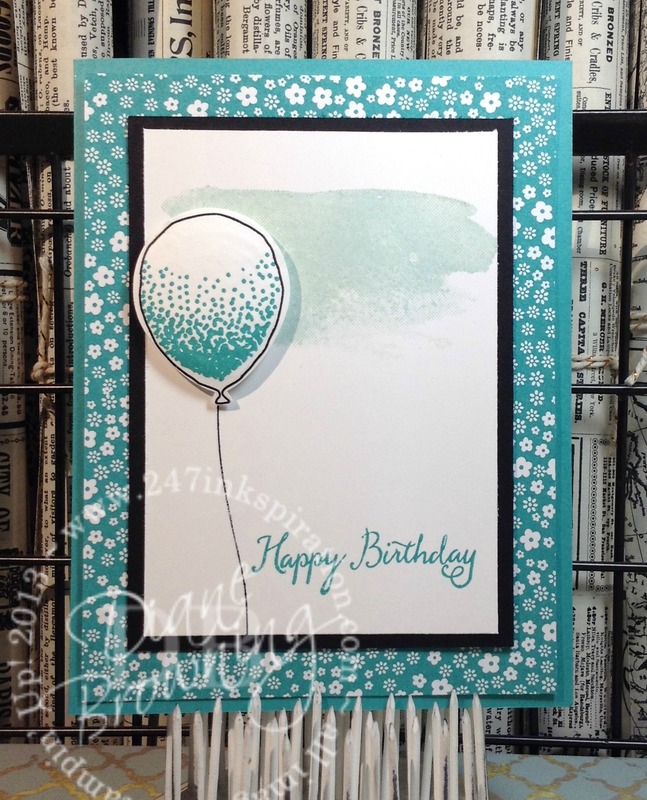 Today’s card uses the stamp set Balloon Celebration. 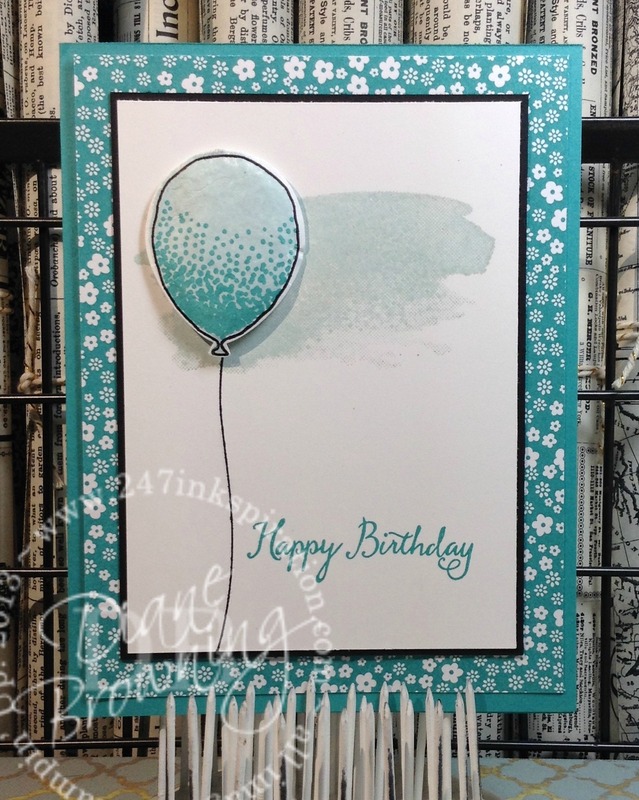 I love the delicate look of the balloon in this set. I actually made two different versions of this card. Comment below and tell me which one you like better, the first card or the second card. In the first card, the balloon is colored in and the black border is a little smaller. In the second card, the balloon is not colored in and the black border is larger. I’ve got to get back to my to-do list and make sure it get’s to-done. I’ll be back on Monday with more crafty goodness! I like the top balloon – love color! That’s my favorite too, Poli!